It’s not fun being unemployed or underemployed. In fact, there are a number of studies that indicate that being unemployed can be bad for health, and long-term unemployment and underemployment can be more damaging to your overall mental health and wellness than many other negative life events. 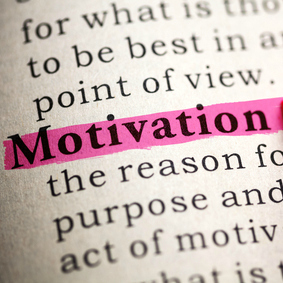 One of the issues is that it can be difficult to stay motivated as you look for a new job. It’s hard to focus when you don’t have a purpose for your day, and many people take a self-esteem hit when they’ve been unemployed for long periods of time. After awhile, motivation disappears, and it’s harder and harder to move forward. First of all, it’s important to take care of your health. It can be easy to slip into poor health habits related to sleep, exercise, nutrition, and other items. Make it a point to eat healthy, get the right amount of sleep, and engage in physical activity. Try to avoid falling back on excessive drinking, smoking, and junk food. Taking care of your health is one of the most important things you can do if you want to maintain a healthy outlook and improve your mental attitude. Put together a schedule that you can stick with while you are looking for jobs. Keep it similar to what you would have if you were working at a job. Your schedule should include looking for jobs, preparing your resume and cover letter, possibly doing temp work when you can, and taking care of other tasks that might help you find a job. If you know you have a schedule, it will give you a reason to keep moving, and help you remain motivated. It’s especially important that you feel as though you have a reason to get up in the morning. As the weeks and months slip by with unemployment and underemployment, and you have a hard time finding a new job, this can get harder. Tailoring your resume for yet another job, and another meeting with your case manager down at workforce services probably isn’t enough purpose. You could also work on a hobby, or a side business. Unemployment is a good time to explore the possibility of starting a business or monetizing a hobby. So, when you’re making your schedule, look for ways to add something else to your day. Volunteer somewhere. See if you can get an internship. Sign up for a temp agency so that you have something to do. Find out what it takes to be a substitute teacher (in some states all you need is two years of college). When you’re involved in a purpose, it can help you stay motivated, and keep you from slipping into despair. Sometimes you just need to get dressed and get out of the house. Don’t stay at home all day, surfing the Internet, reading, and applying for jobs. Have a lunch meeting with a friend. If you can, attend a conference or seminar. Take a walk. Having a purpose can be a great way to encourage you to get out of the house. Combine these efforts, and you will be more likely to remain motivated. While you’ll still probably have disappointing, down days, you will also be better able to recover from those days and move forward. Are you unemployed and not feeling very motivated? Which of these actions can you commit to in order to get motivated? Leave a comment!